By October of 1901, John Polnicky was well situated in his new brick building. He had previously operated out of a frame structure located next door. Once the new structure was occupied the frame building was demolished. 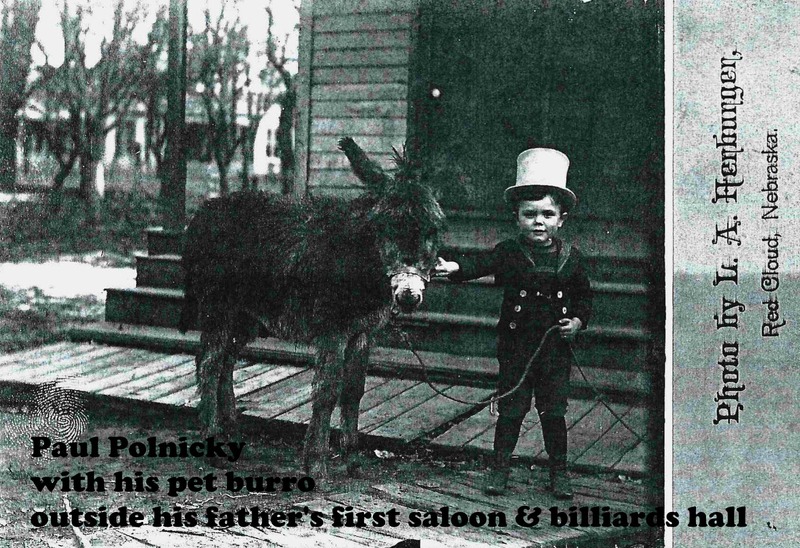 According to Rose Rosicky’s History of Czechs, Bohemian John Polnicky was instrumental in enticing numerous members of his former community around Kojetin, Brod, Caslav Co., Czechoslovakia to immigrate to the Red Cloud area. Arriving in 1874 and accompanied by his father, Jacub, and brother, Josef, John homesteaded and farmed his first 18 years in the Red Cloud area. 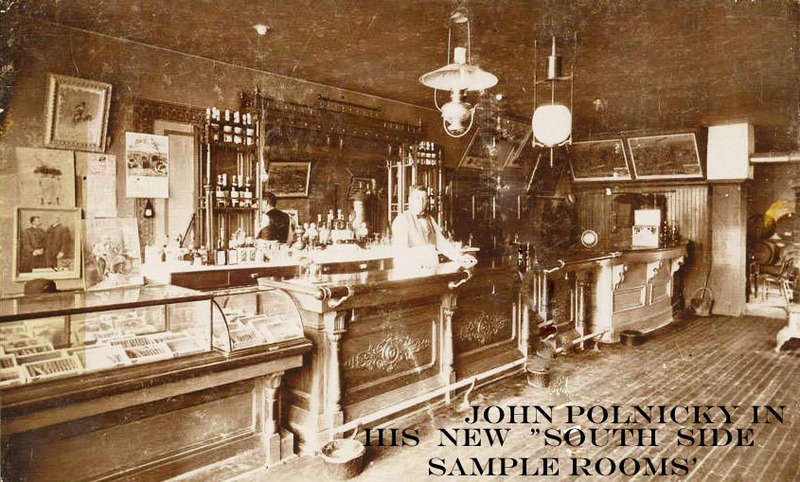 His business ads in the local Red Cloud newspapers boast that his South Side Sample Rooms have Pabst Milwaukee Beer always on tap, as well as wines, liquors, and California brandies. 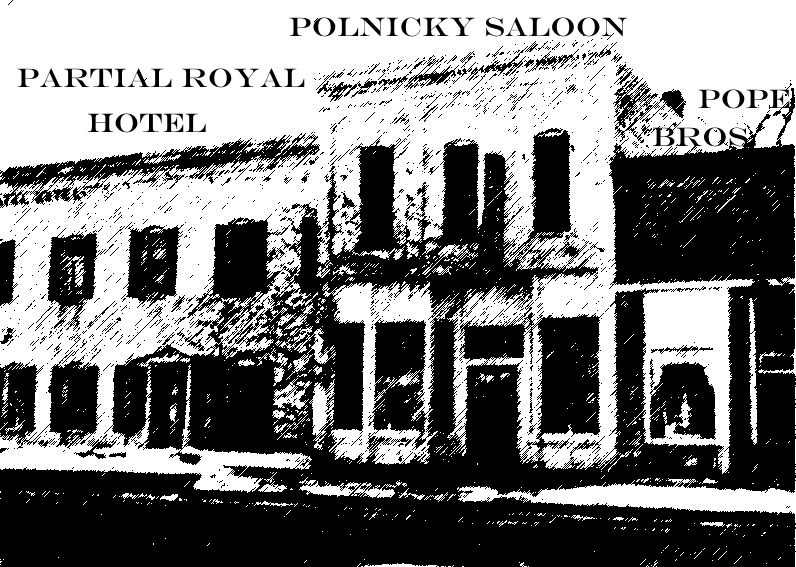 Another newspaper article states that no rowdyism is ever seen in Polnicky’s house of business as it will not be tolerated. Photos of John verify that he had the brawn to back it up! It appears that the local liquor business must have been lucrative, as none of the proprietors declined from applying for a liquor license when in 1884 the fee catapulted from 500 dollars to 1000 dollars. Silas Garber had paid $25 for the first liquor license in Red Cloud in 1872. In later years this building was home to the Royal Cafe.